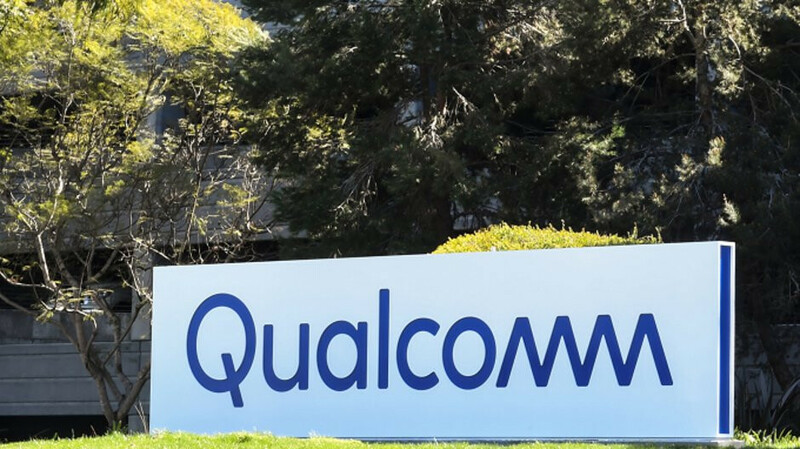 Closing arguments are expected to start today in the FTC v. Qualcomm non-jury trial. The chip maker's "no license, no chips" policy is at the heart of the FTC's complaint against Qualcomm. Phone manufacturers have to pay for the chips, the tech used inside them, and a licensing fee charged for each phone the manufacturer sells. The latter is charged on each handset rung up by a manufacturer whether or not a Qualcomm chip is inside it. According to a piece written by an attorney involved in litigation against Qualcomm, and published today by the Wall Street Journal, Qualcomm has been trying to persuade everyone that if it is forced to change its business practices, U.S. consumers will be hurt while the Chinese will benefit. But a number of companies not based in China, including Apple, Samsung, LG, Intel and BlackBerry testified against Qualcomm during the trial. A victory by the FTC in this case would force Qualcomm to change the way it sells chips to phone manufacturers, which could help consumers see lower pricing on some handsets in the future. Should Qualcomm prevail, the company still faces a number of suits ahead, including the one that the author of the WSJ piece is working on. This case starts in April and Apple, along with its contract manufacturers, are seeking $27 billion from Qualcomm for allegedly breaching certain contracts, and violating antitrust law. Another suit, this one a class action on behalf of over 200 million Qualcomm customers, asks for billions of dollars in damages. With closing arguments starting today, the clock could be ticking down on the way that phone manufacturers have had to pay to use Qualcomm's chips. "could help consumers see lower pricing on some handsets in the future".. Yes.. That 1 dollar lower price would mean alot to me. Apple should just stop crying and pay the asked price. If people want to use QC technology, QC has the right to set the price. If it's too high, QC will lose market share and change their pricing because a company can only charge what the market will bear. Sounds like the lobbyists from some big companies are whispering in the ears off the federal bureaucracy. You would be right if you were talking about a normal company that competes in a normal market, but the issue at hand is the patents that Qualcomm owns and how they set whatever price they want without any competition available to create a ceiling. That’s why Apple and Qualcomm got into a legal fight was because Qualcomm wanted Apple to pay for using Intel chipsets in their phones since it used their “patented technology”. It’s similar to having only one internet provider in your area and that internet provider can set any price they want because they know you need it. There is no competition here: Qualcomm holds all of the 4G LTE parents needed to make a device work in the US and major parts of the world. It's false. Qualcomm's dominance in early days were solely due to their superior innovation, not by anticompetitive practices. Further, there is nothing "elevated" about Qualcomm's rates -- the sleazy FTC came up with the nebulous term when they realized that there is absolutely no evidence that their pricing is in violation of FRAND commitment or unreasonable by any standard. By the way, Qualcomm up until November of last year prevented their patents from being licensed to their competitors in the chipset world. It took a huge court case to finally stop that stranglehold. But go on and tell me how Qualcomm is the pinnacle of what a good company looks like. I’m not saying Apple is any better, but please stop this whole fanboy attitude over a company that is literally making an 85% profit off of just patent licensing. It is truly ridiculous, what Qualcomm has done... and what is even funnier is that all sorts of OEM's knew it, and still bought into it because Qualcomm made "that much better" chips. Goodness, even Samsung knowingly signed a "right to be sued last" memorandum of understanding just so that they could play with Qualcomm, even knowing that they would eventually be sued (last). What is this crack that Qualcomm chips deal in, that all the OEM's have to have it and Qualcomm won't let anybody figure out how to make it cheaper? Surely, the patents will eventually expire, and the secret will be out... at some point? EU networks couldn’t care less about Qualcomm patents, because we don’t allow monopolies in the communication market; the same is true for Asia. What happens in US is the fault of FTC and the governments that have allowed such monopolies. Nobody in the wireless industry licenses their IP to the chipmakers. They always collected licensing fees at the end of the manufacturing chain --meaning handset makers. And it's been that way for some 30 years now. The FTC and Apple are making it sound like Qualcomm is doing something extraordinarily evil and are trying to change the existing industry practice b/c Apple doesn't want to pay for Qualcomm's IP. Simple as that. I don't like patent sharks as stated in some of my previous comments about blackberry and apple, but I don't support Qualcomm keeping the market choked with their stranglehold. They need to follow the standards of FRAND and stop with the bs. Its so funny that Qualcomm is being punished for being the best option. If the companies didn't want to pay they didn't have to, they can use another inferior chip. Look at how great it has worked out for Apple and Intel. I truly believe that Apple started this crap because it knew that it's phones were trash this year and needs to save face/money. Then of course the other OEM would jump on board to save money as well. It's just funny to me that these companies signed these contracts then turn around and try to act like they didn't. Follow the contract rules and once it's up don't sign again until you get favorable terms.